If you haven’t been to Colorado yet to experience the reality lf legalized recreational Marijuana, we’re sure it is on your short list. 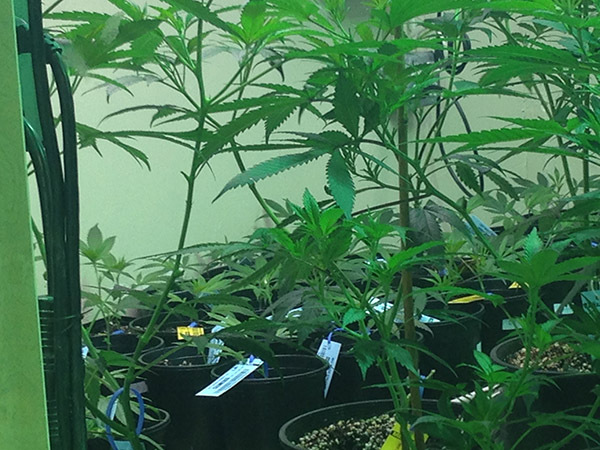 Of course you’ll want to check out our map of the 2014 Cannabis Cup winning dispensaries! and be sure to note that dispensaries in Denver are only open until 7pm at the latest. The most important thing to consider is that all dispensaries have their actual storefront set up a little differently. Some do a better job than others of making the experience seem inviting and friendly. There are certain protocols that each shop must adhere to for ensuring they are operating by the book, but there are techniques for the interior design and layout that can translate into a big difference in how this is experienced by the customer. To iterate this point, we’ll look at three different recreational dispensaries in the Denver area. 1. 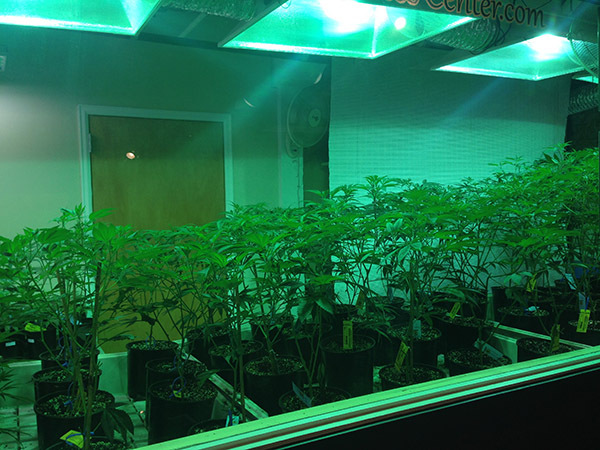 Herbs 4 You – 20 E 9th Street – This facility is clearly following the storefront requirements to the letter, and also have designed their facility for maximum safety of both the employees and the customers. When you first enter, you walk into a small hallway type area and are greeted by the employees through a “bank teller” type window – this is primarily so that patients with their medical cards can bypass the waiting room and head straight back to the retail area. You are then directed to go behind a closed door to your right where you will find a waiting room. They have free water from a water cooler and magazines and the room is lined with couches and chairs. While they have made good effort to help people feel comfortable during their wait, the layout makes it unmistakable that you are in a waiting room, and it just feels like you’re at the doctors office or some other med-clinic type situation. Especially as your wait ends with them coming into the room calling for “next” and then, after checking your ID, taking you into the retail space located behind another closed door. There you are greeted by friendly staff and a wide area of glass countertops with a plethora of options. After singing you onto the list, they will return your IDs to you and assist you with your purchase. This is all well and good, and we give them kudos for making sure they abide by the law, but compared to the next two locations we’re about to describe, it just seemed so sterile, and formal, and uninviting. 2. High Level Health – 970 Lincoln Street – So in terms of sterility, this place is quite the opposite from Herbs 4 You as your experience here will be VERY informal. This shop is run without any frills and barely any formalities – in fact only recently have they started using a sign-in sheet. For this reason it has gotten the most of my business, because its nice to just get in and get to business. The waiting room is more like visiting a retail eye glasses/optician shop (without the stands showing different types of glasses, obviously). The front room is small with a receptionist desk, and there are only a few seats for waiting. Outside you ring a doorbell, and they check your ID when you enter. They move people through quickly, so I’ve never had a long wait time, and when they call you back you just pop around the corner to find the glass cases of which there are notably fewer than at Herbs 4 You. There are also usually only a few strains in the case at any given time, so this helps their turn around time as well – just pick your strain and quantity and you’re out the door. They run coupons every week in Westward, a free Denver cultural magazine. They do have a wall with a small selection of accessories, but this location is about as straight forward as it gets. The staff is super friendly, and we can’t say enough about the positive customer experience here. No frills, but no hassle. 3. LoDo Wellness Center – 1617 Wazee St #B – Alright, take note, that this location is downstairs, so even though there’s a big mural-type sign painted on the side of the building, we had to do a double take looking f0r the entrance, and then even directed someone else walking up to it as we were unlocking our bikes to ride off as they obviously did the same double take we did. This store is like a combination of High Level Health and Herbs4You. Very formal and by the book, but also a LOT of frills – certainly the best customer experience, and where we would send anyone looking for a full-on tourist type experience. 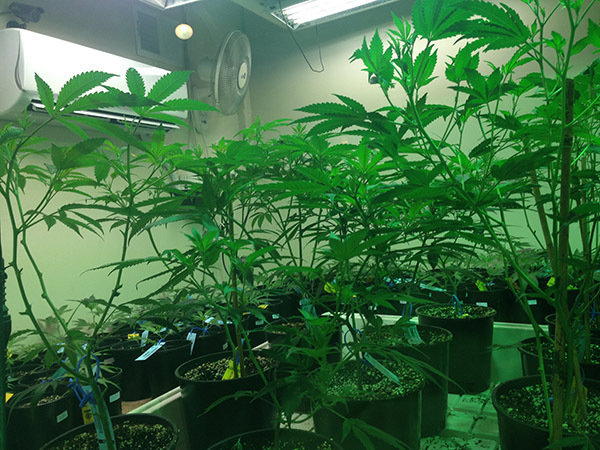 The waiting room was huge, with leather couches, bamboo plants, hanging rugs, tables full of magazines for reading, free magazines and coupons to local businesses, and the icing on the cake – a window into an ACTUAL GROW ROOM! where you can see plants at different ages in the process (all vegetative though, there weren’t any flowering plants in view). Just like the other shops, you move from the waiting room into the retail area, but here there are more than just a couple glass counters. Also, it is very clear that the staff are trained in all of the details about each strain they are selling, as they will provide you with information on the effects as though it were part of the strain name. They also have information regarding the life cycle of the particular batch, and other interesting details if you request it. This operation will also have a special running at any given time that you do not need a coupon for. You might have to remind the person at the register (who, unlike at the other shops is a different person than the one that hands describes and weighs your items), but they honored their deal. So to prepare you a bit for your experience, there are some interesting differences between life before and after the Black Market. This section is more commentary for the sake of entertainment in comparison between an old and new experience. Ultimately, these observations are all moot – because a lot of these old habits from the days of the Black Market are unnecessary because these are legitimate businesses selling quality products – just some interesting commentary. 1. You will still likely feel nervous when you see the police and you have Marijuana in your possession. Years of ingrained fear are emotion inspired reactions that do not dissipate with the conscious awareness that you are not actually breaking the law. Yes. That’s right. You are not actually breaking the law (!). 2. When you are actually in the retail facility, it will be difficult to not experience a euphoria of a retail store designed exclusively to sell Marijuana. Especially your first experience, it will be like an episode of the Twilight Zone. Coming from the Black Market experience, often in people’s homes or poorly lit parking lots, both staunch with the energy of paranoia – even if your dealer is your best friend, you still have to walk away from the location and transport your purchase to the safe house of your home – its just nerve racking. 3. Perhaps the most hilarious experience I’ve had is when they weigh the 1/8 ounce in front of you, because you don’t want to have anything happen that might make them not want to sell to you – a ridiculous feeling, but its there nonetheless per the experience described in the previous comment. Here are a couple of examples – in the days of yore on the Black Market, I would be like, “dude that gram is all stem so you need to hook it up a little more,” but in the store I’m like “oh thank you” *SO polite* and don’t even glance at it until I get home. Historically, I would also inspect it before making the purchase, to make sure it was cured properly, because water weight can increase the weight of the product causing you to not get an appropriate quantity. In the store the jar is opened for you to smell, but it seems a bit uneasy reaching in to the jar to get a feel test for moisture content. And in terms of weight, on the Black Market it would not be uncommon that I’d bust out my scale and be like “dude it’s 3.4 – let’s get it to 3.5,” but in the shop I don’t even look at it and I’m like “oh thank you,” *SO polite,* and the thought of bringing my own scale to the shop is even humorous. All of this is humorous for certain, but it is also ironic, because the retail experience is designed for the consumer. Perhaps over time the newness will wear off, and I’ll feel a bit more comfortable asking questions and making requests as a normal consumer, but really it doesn’t matter, because a lot of these old habits from the days of the Black Market are unnecessary because these are legitimate businesses selling quality products. 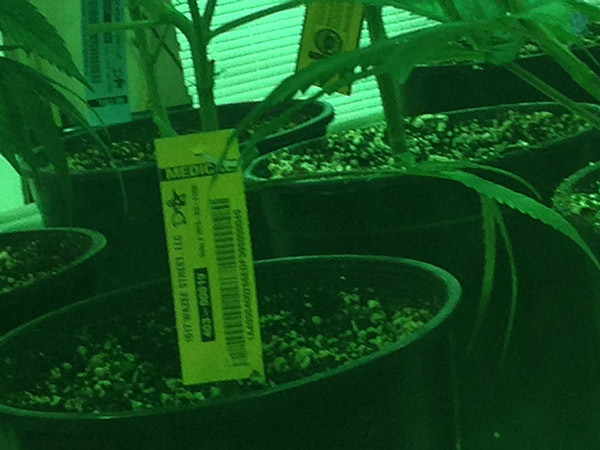 You don’t need to question the cure, because its grown and produced by professionals. You don’t need to question the weight, because the shop owners are not in the business of losing customers to bad service. And last time I had a big stem, the store clerk had thrown in a little extra (even though I didn’t realize the stem was why until inspecting it later). This is the the the most factual observation about recreational Marijuana. It is more expensive, but you are guaranteed quality. You can purchase a strain with confidence that the description of the effects and the name of the strain are true to how they are being sold. You can be certain that the cure and weight are up to a standard of excellence. 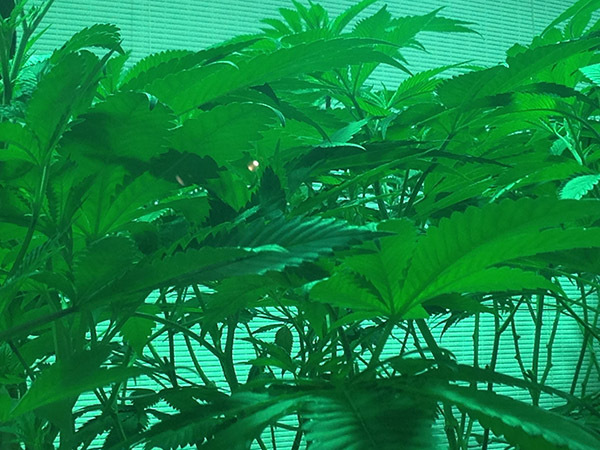 You know that your growers and caregivers are professionals that run their businesses well and are compensated appropriately for their production. And you can even feel good about the price you pay for your goods, because you know that the premium goes to pay for the taxes. Which prove to naysayers that the system is good for the state by generating revenue, and through the specific percent of taxes being channeled toward important civil services (like schools!) that your tax dollars are doing some good. Which is more accountability than the destination of, say, your income tax dollars.